The Short Version: Toronto, Canada, has many nicknames. Little York. Hogtown. The Queen City. The 416. But none of these names reflect the heart and substance of the city. Toronto’s diverse population of more than 2.7 million people represent a rainbow of cultures and nationalities that blend together under the spirit of friendship. Couples can enjoy a worldly experience by touring Toronto’s welcoming neighborhoods on a date. Some cities become famous because of their beautiful surroundings, historical landmarks, or wild nightlife. Some cities take pride in having a particularly good location by the beach, in the mountains, or next to a river. Founded in 1793, Toronto is a large Canadian city situated on Lake Ontario, and some say its claim to fame is the kindness of local residents. Toronto offers a beautiful backdrop for couples going on a special date. Torontonians pride themselves on being friendly to outsiders. Instead of ignoring visitors, they’ll often approach tourists who look lost and offer to give them directions or assistance. Many locals jump on opportunities to lend a helping hand and will go out of their way to make newcomers and visitors feel right at home. Those values make the big city something truly special. 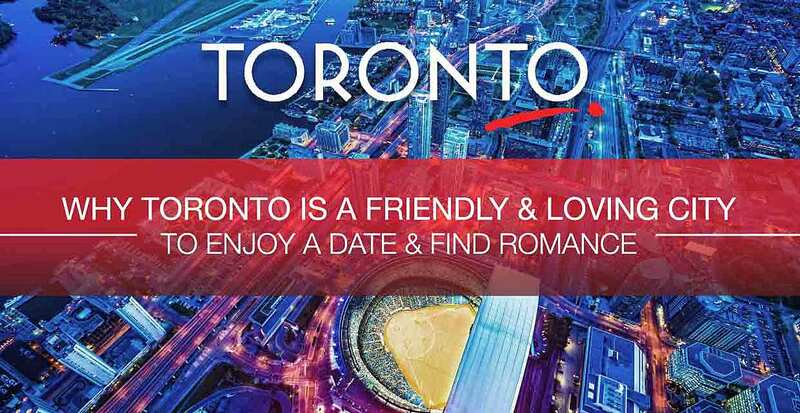 If you’re looking for romantic date ideas in Toronto, you have a lot of options. You can take a ferry on the lake in the summer or go ice skating at a rink in the winter. As long as you’re exploring the city with a loved one, you can’t go wrong. We’ve picked out some of our favorite romantic spots to help daters plan a lovely night out or weekend getaway in Toronto. Toronto has become a melting pot where people from different cultures can mingle and blend together. You’ll see neighbors of every nationality sharing a kind word and smile as they go through their days. Torontonians speak over 160 languages and over 50% of city residents aren’t native to Canada. These people have come from all corners of the globe to call Toronto home, and the city welcomes them with open arms. The huge variety of food, art, and culture in Toronto is a testament to the diverse people living there. You can find every type of cuisine in the city. If you’re craving dumplings and hot tea, you can treat yourself to an evening at the Pearl Harbourfront Chinese Cuisine, a waterfront restaurant with a view of Lake Ontario. It’s all that and dim sum. 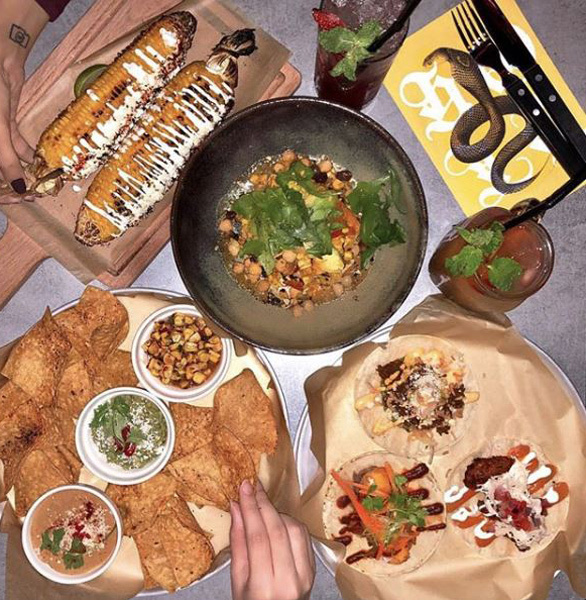 You can turn your date into a fiesta at one of La Carnita’s four locations. Or maybe you’d like a good street taco? Then La Carnita is the joint for you. This hip, laid-back eatery on the east side makes some of the best tacos in town. You can finish your meal with a minty or fruity cocktail, and then order a plate of churros to share. Toronto has many casual spots where couples on a first date can feel comfortable, but the city also has quite a few places where white linen tablecloths and fine dining can elevate an evening out. Sofia Yorkville is an upscale spot where couples go to celebrate a birthday or anniversary. It’s not unusual to see a proposal take place at this Italian restaurant. From its wine list to its signature cocktails, the bar has everything you need to make an evening special, and Sofia’s Sunday brunch mimosas and bellinis are legendary among Torontonians. Looking for something totally original and affordable? Rasta Pasta is a fusion restaurant where Italian classics get a Jamaican flavor kick. If you want to wow your date, you can stop by this unique eatery. The jerk chicken fettuccine is particularly popular among locals. 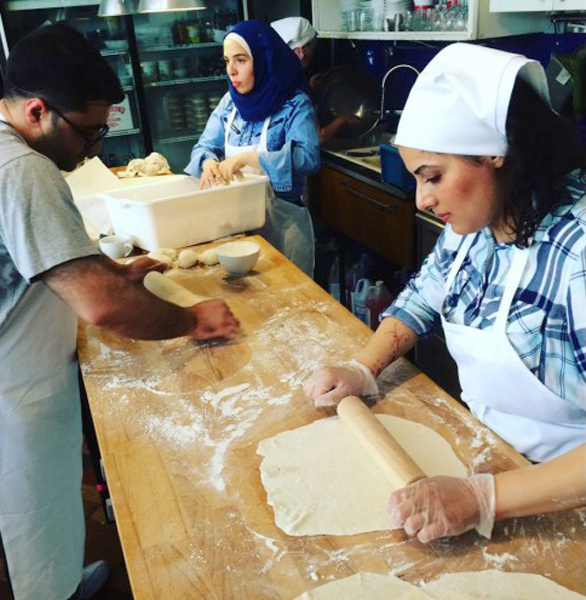 The Newcomer Kitchen has created a buzz in Toronto by featuring Syrian cooks and cuisine. Founded by a Syrian refugee, the Newcomer Kitchen is a nonprofit organization that invites Syrian women to cook a weekly meal full of unique spices and authentic dishes in the kitchen. The restaurant then sells the meals from the ever-changing menu to locals. Syrians share their heritage by sharing their cuisine, and Torontonians show their support for the Syrian people by ordering these original home-cooked meals for pickup or delivery. Finally, the Culinary Adventure Company allows you to explore the many tastes of the city in a world-class food tour. Couples can sample a variety of side dishes, main dishes, and drinks in Ottawa, Winnipeg, Kingston, Charlottetown, and Halifax. These tours tend to last up to three hours, but guests frequently return to their favorite spots for a second course once the tour is over. “Our goal is to fill our guests with wonder, fun, unique memories, and a full stomach,” said the Tour Development team. If you’re looking for good food and good drinks, you have to go to Junction, an up-and-coming neighborhood where 12 new breweries have opened just in the last couple years. You can take a biking or a tasting tour to sample the best this area has to offer and get a taste for the places you’d like to visit again. 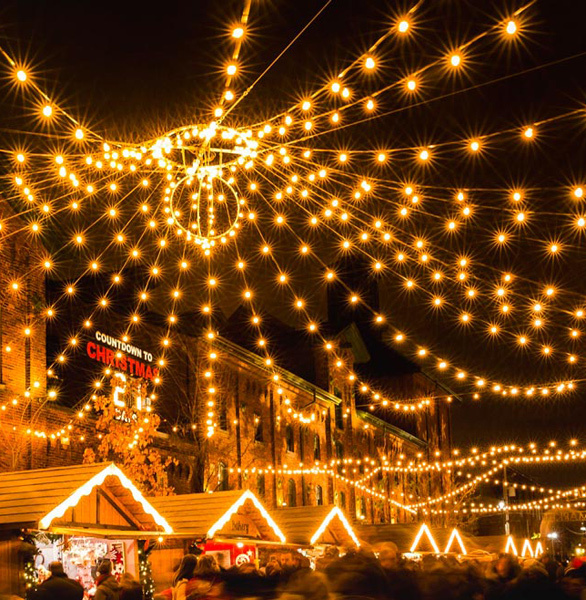 The traditional Christmas celebration in the Distillery District is a must-see attraction. The Distillery District is another great location for a date because so many restaurants, shops, and bars are packed into this area. The charming and walkable neighborhood becomes particularly romantic in the winter months when strings of lights twinkle overhead. Check out the annual Christmas Market in November and December to enjoy mulled wine and gingerbread cocktails while browsing tables full of handmade ornaments, word carvings, and other crafts. Toronto’s nightlife has everything from intimate speakeasies to jam-packed craft breweries so daters out on the town can always find something to suit your tastes. 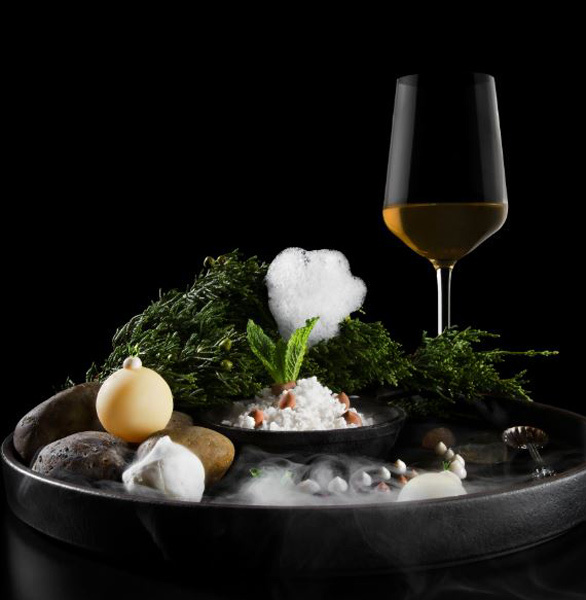 The imaginative plating at BarChef elevates the bar’s food and drinks. BarChef is a sophisticated cocktail lounge with over 5,000 housemade bitters on its shelves. This innovative bar is known for its incredibly cool cocktails served on artistic platters. The seasonal drinks feature the freshest and hippest flavor combinations, and the hands-on bartenders can also whip up something special for you if you tell them what flavors or liquors you like best. Known as Yorkville’s cocktail bar, Bar Reyna is a chill place to hang out with a date. Its elevated drinks and Mediterranean bites can give guests a taste of summer even in the middle of Canadian winter. The quaint outdoor patio is definitely more beautiful and enjoyable in the warmer months, but you can always order shareable plates and stay warm at the indoor bar. Bar Reyna creates a seductive atmosphere on Thursday nights when a live jazz band serenades patrons on the back patio starting at 8 p.m.. Going on a date can be a perfect opportunity to get a little culture and expand your horizons with someone special. You can visit a local theater or art museum for an intimate and memorable evening in Toronto. The Royal Alexander Theatre is the oldest operating theater in Toronto and a high-caliber setting for a date. Instead of dinner and a movie, couples can enjoy dinner and a play here. Since 1907, the theater has entertained audiences with Shakespearean dramas, Broadway musicals, comedies, and other live performances. The plays currently on the calendar range from a lighthearted “School of Rock” to an artistic “6 Guitars” concert. 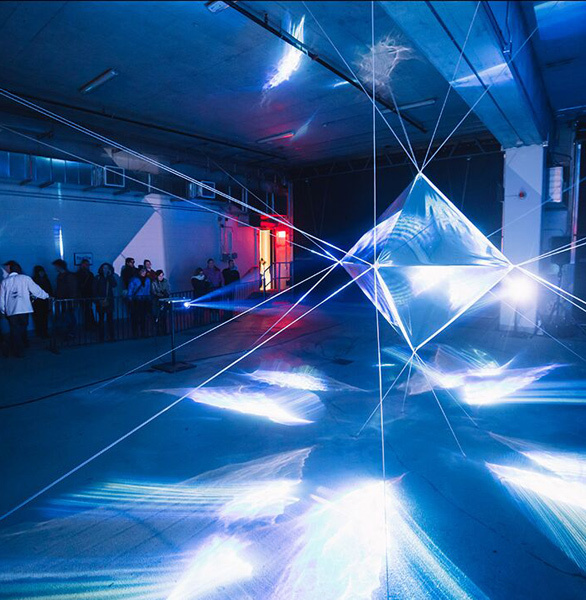 Nuit Blanche Toronto entertains Torontonians with many thought-provoking outdoor exhibits. Whether you’re watching independent documentaries at a film festival or digging into local dishes at a food festival, you can make treasured memories in Toronto by attending an annual event with a date. Nuit Blanche Toronto is an all-night arts festival that showcases more than 110 contemporary art projects and performances. You’re basically surrounded by eye-catching sights and unique conversation starters. Every September, the art festival turns Toronto’s streets into a stunning outdoor museum. You can view scintillating high-tech displays and discuss what the artwork says to you. You don’t have to wait for a festival to have fun and see something interesting in Toronto. The recently opened Museum of Illusions has many interactive exhibits to stimulate conversation and keep you and your date engaged for hours. The museum’s most popular rooms are the tilted and upside rooms that seriously throw visitors for a loop. You can trick your senses, tease your date, and have an unforgettable, mind-bending time here. 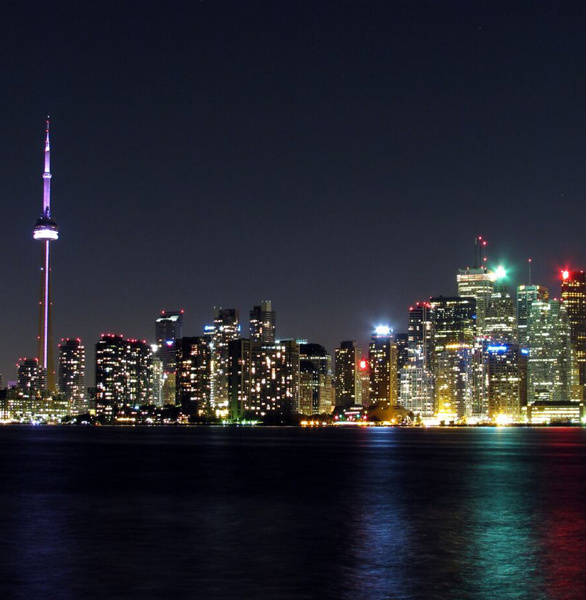 Although Toronto is the largest city in Canada by population, it still retains the friendliness and courtesy of a small town. Its 2.7 million residents go out of their way to make sure that Toronto is more than just a historical landmark or economic hub — it’s a warm place to call home. By celebrating diversity and embracing newcomers, Toronto has grown into a cultural melting pot where you can find all types of cuisine, drinks, and artwork. You and your date can explore the genial city streets to discover fantastic date venues and activities at an affordable price. Whether you’re biking in the summertime or sipping hot cocoa in the wintertime, Toronto invites daters to come out of their shells and make treasured memories with that special someone.